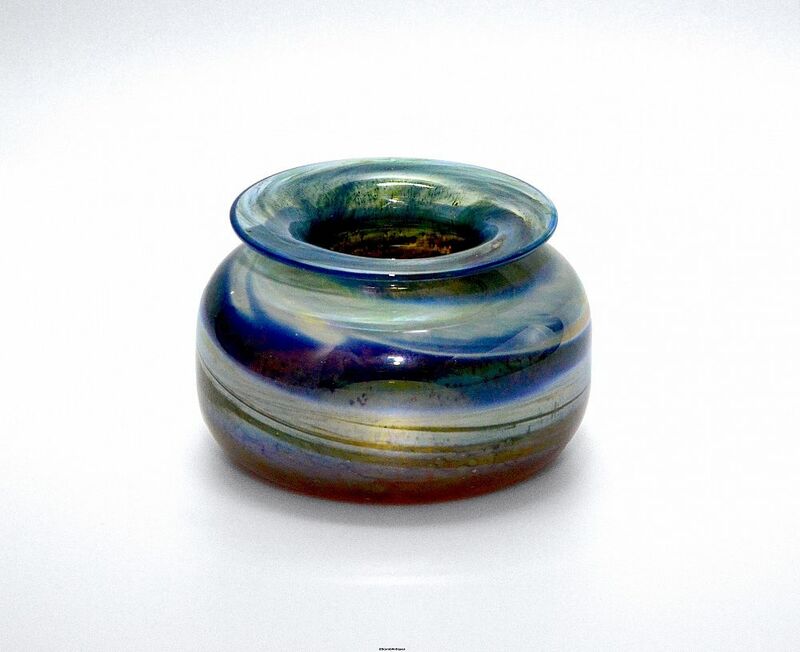 This lovely Aurene flattened globe vase was made by the Isle of Wight studio between 1974-79. The base has swirling colours of cloudy brown & yellow below swirling colours of blue & green with large iridescent swirls of silver chloride. 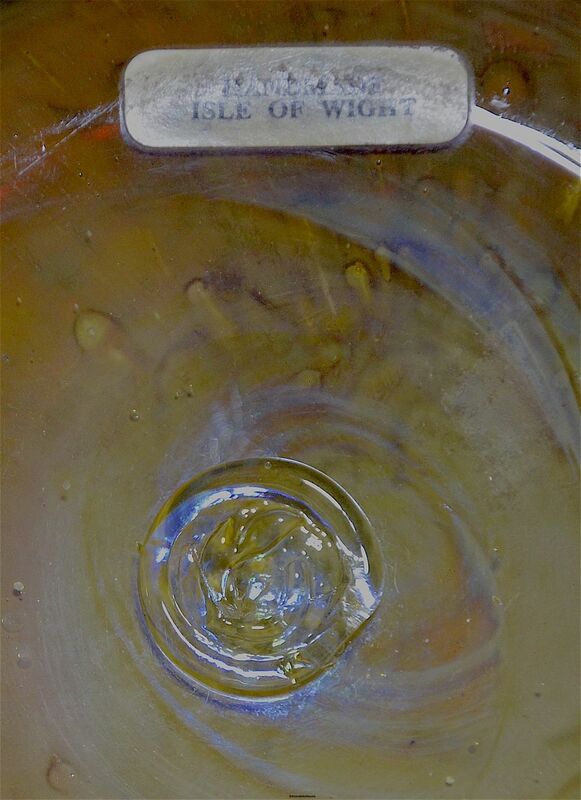 The base has the "flame" pontil mark and a long white rectangular rounded edged label printed " Handmade Isle of Wight".